I’ve heard a lot of lamentations, gnashing of teeth, and pulling of hair over the change in ownership at SLO Brew. People are worried about the future of the club without Todd and Korie Newman at the helm. Of course, the good news is, with the first two sold-out Good Medicine Presents shows (Michael Franti and Ziggy Marley) under their belts, the Newmans have demonstrated their commitment to keeping the music alive in SLO Town, and let’s not forget, Todd is still guiding the music at SLO Brew for now. So, instead of worrying about the future of SLO’s longest running nightclub, maybe it’s best to just enjoy what’s left of it while we can. No one knows for sure how the club will transition to its new location next July or whether it will retain its commitment to music and keep its laidback vibe, but it’s still here for now, and that’s the important thing. A local favorite is playing SLO Brew this Saturday, Nov. 15, when Moonshiner Collective headlines with the Lake Tahoe-based Dead Winter Carpenters opening (7:30 p.m.; 21-and-older; $12 presale or $15 at the door). 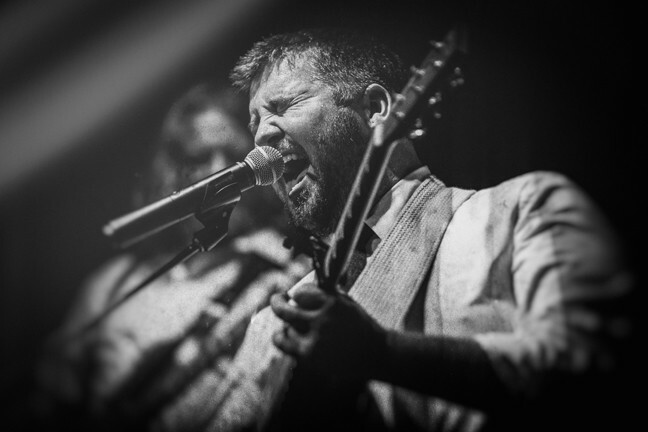 SHINER: Dan Curcio, frontman for Moonshiner Collective, plays what may be their last SLO Brew show on Nov. 15. See? Dan’s making the best of it! If you’re a fan of Ben Harper, you’ll dig Moonshiner Collective’s back porch music vibe. Likewise, Dead Winter Carpenters deliver some great Americana roots and alt-country. And speaking of great Americana, on Friday, Nov. 14, Bob Schneider returns to SLO Brew (7 p.m.; 21-and-older; $20 presale or $25 at the door) with The Wind and The Wave opening. Schneider’s new record, Lovely Creatures, is indeed lovely. “I ended up going into the studio with Dwight Baker, the producer, with the idea that we wanted to make a polished and beautiful sounding record, which I believe is what we ended up with. Because the songs are all love songs, for the most part, I ended up calling the record Lovely Creatures, referring both to the collection of songs and to people in general,” Schneider said in press materials. Also at SLO Brew this week, on Sunday, Nov. 16, see Lakes (7 p.m.; all ages; $10 presale or $13 at the door), a local indie-rock band formed in 2005. Goldboot and Anton Kellner & The Lone Stars opening. Jude Johnstone isn’t flashy or self-aggrandizing. She doesn’t usually seek out the spotlight. 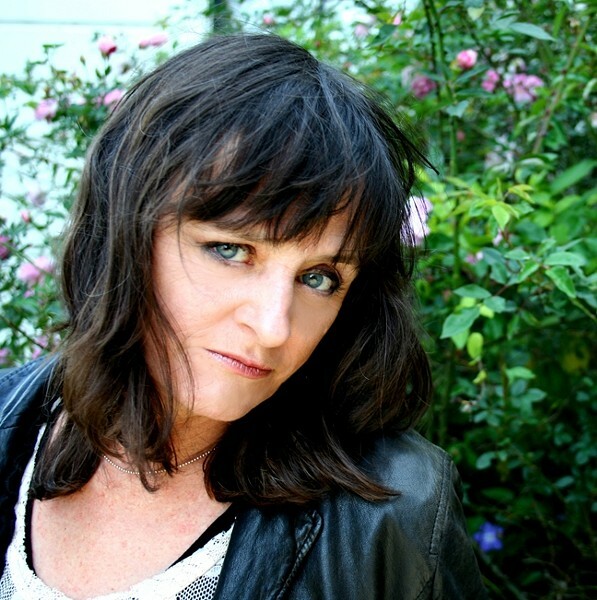 She’s just one of those artists who quietly does her work, writing songs that have been covered by Laura Branigan, Trisha Yearwood, Emmylou Harris, Bonnie Raitt, Bette Midler, Johnny Cash, Stevie Nicks, and more. QUIET GIRL: Incredible singer-songwriter Jude Johnstone plays two SLOfolks shows this week, Nov. 14 at Coalesce Bookstore and Nov. 15 at Castoro Cellars. Her song “The Woman Before Me,” performed by Yearwood on her debut album in 1990, went to No. 1. Her song “Unchained” was sung by Johnny Cash on his 1997 Grammy-winning Country Album of the Year. She recently released her sixth solo CD, Shatter, and she’s got two local dates this week: Friday, Nov. 14, at Coalesce Bookstore (7 p.m.; $20; 772-2880); and Saturday, Nov. 15, at Castoro Cellars (7:30 p.m.; $20; 238-0725). Special guests Bob Liepman (cello and mandocello) and Sal Garza (violin) will join in. BRYNN 4 THE WIN! : Violinist Brynn Albanese plays Nov. 15 with the SLO Wind Orchestra at Cuesta and then Nov. 16 with the SLO County Band at Mt. Carmel Lutheran Church. Lisa Nauful, principal bassoon of the San Luis Obispo Symphony, will perform “Concert Piece” for Bassoon and Wind Orchestra. She’s performed with the American Symphony Orchestra, Concerto Soloists of Philadelphia, the New York Pops, and the Dallas Symphony Orchestra. 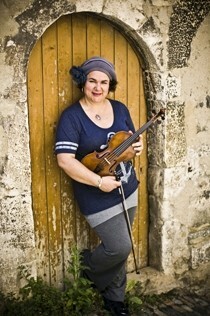 Brynn Albanese will perform the second movement of Stephen Melillo’s “Concert for Violin and Orchestra.” She’s performed and toured with the Boston Symphony Orchestra, Baltimore Symphony, the Concertgebouw, and the Residentie Orchestra in The Hague, Netherlands, not to mention Café Musique. General admission is $20 (students are $10), with tickets available online or at the box office. Call 464-9434 for more info. And since we’re on the topic of Brynn Albanese, I should also mention she plays SLO County Band’s Annual Fall Concert on Sunday, Nov. 16, at 3 p.m. in SLO’s Mt. Carmel Lutheran Church in a benefit concert for the Homeless Shelter of SLO and its Maxine Lewis Shelter. The public is invited and there is no admission fee for the concert, although a $10 per person donation for the homeless shelter is suggested. For about 20 years, The Famous Jazz Artist Series was a staple in Cambria, beginning in November of 1991. Created and conceived by L.A. jazzman Charlie Shoemake, who had then recently moved to Cambria, the series was his way of sharing his professional jazz connections with his new community. HOMECOMING: On Nov. 16, The Famous Jazz Artist Series returns to Cambria at the Cambria Allied Arts Theatre with legendary jazz guitarist Mundell Lowe. Shoemake, a renowned vibraphonist and longtime George Shearing sideman, hosted about 500 concerts at The Hamlet until it was sold in January of 2012. 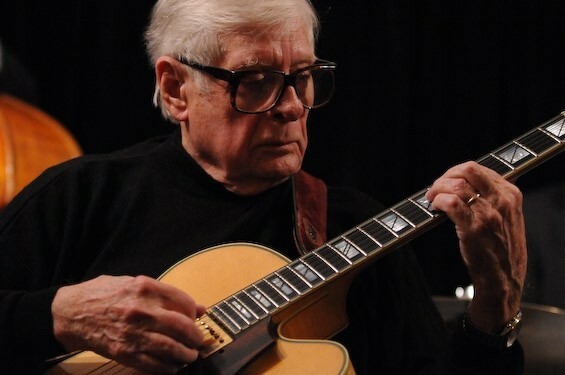 This Sunday, Nov. 16, The Famous Jazz Artist Series returns to Cambria at the Cambria Center for the Arts (1350 Main St.) with legendary jazz guitarist Mundell Lowe, who’s worked with Billie Holiday, Charlie Parker, Benny Goodman, Peggy Lee, and more. Lowe’s also known for the film and TV scores he produced in the 1970s, such as the Billy Jack soundtrack and music for the show Starsky and Hutch. Bassist Luther Hughes and drummer Darrell Voss will join Lowe. Admission is $20 (brownpapertickets.com/event/904191). This Saturday, Nov. 15, the SLO Grange Hall plays host to a day of music and surf culture when the San Luis Obispo chapter of the Surfrider Foundation and Bang The Drum Brewery present SURF STOMP, a surf music event and surfboard swapmeet from 1 to 8 p.m. There will be classic surf music by Paul Johnson and Friends, The Dentures, and Rob Kiaha. Tickets are $15. TRUE GRIT: Crazy-good Oklahoma singer-songwriter John Moreland plays Nov. 16 at Frog and Peach and Nov. 17 at Dunbar Brewing. 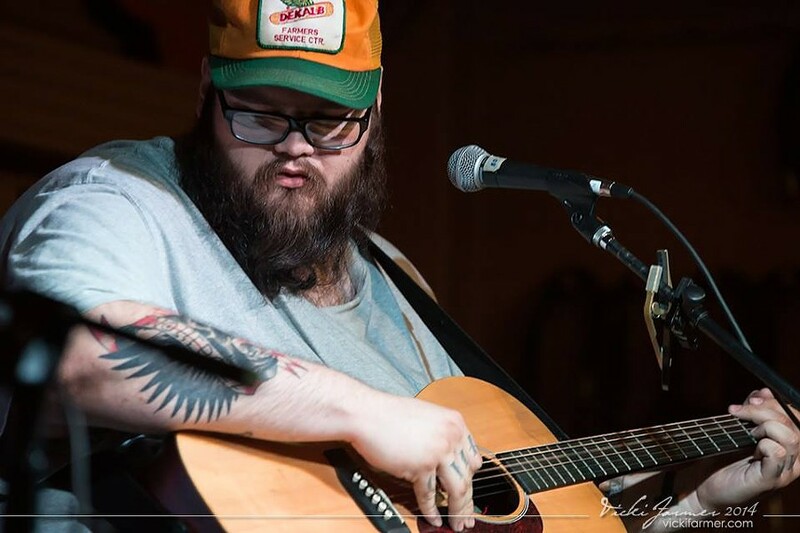 Oklahoma singer-songwriter John Moreland (his songs have been featured on Sons of Anarchy), with Kierston White, has two shows this week: Sunday, Nov. 16, at Frog and Peach (9 p.m.; 21-and-older) with Bay Area singer-songwriter M.Lockwood Porter opening; and Monday, Nov. 17, at Dunbar Brewing (7:30 p.m.) with the WhiskeyJacks opening. Cosy Sheridan returns to Painted Sky Studios this Tuesday, Nov. 18, for a 7:30 p.m. show. She’s been called “one of the era’s finest and most thoughtful singer-songwriters.” Tickets are $20, and are available at Cambria Music Box Shoppe or by calling Painted Sky Studios at 927-8330. If you’re like me and still have operational turntables and stacks of wax, prepare yourself for a meeting of the minds this Sunday, Nov. 16, from 8:30 a.m. ’til noon at the SLO Grange Hall for the first ever SLO Record Swap. “The purpose of our event is to provide a space for people who love records as much as we do, to come together and build a community around this shared interest,” said Manuel Barba, who co-planned the event with fellow DJ Malik Miko Thorne.